Using force to prevent access to a health care facility. Every U.S. citizen enjoys certain rights and privileges. No citizen should have to endure the disrespect and humiliation of a civilian privilege violation. When your non-military entitlement are violated, you have the legal right to file a personal injury claim and pursue litigation in order to gain recover compensation for your losses. If you are the victim of a hate crime, employment discrimination, or some other civil rights violation, speak to a knowledgeable Bronx civil rights attorney at our Law Offices of Thomas J. Lavin. Our team represents victims across New York City, including in the Bronx, Brooklyn, Queens, Manhattan and beyond, throughout New York State. With three decades of experience, our NYC civil rights attorneys fully understand that the lasting effects of a civilian privilege violation can be demoralizing and in some cases traumatic. While every case is different, our priority is ensuring that victims of civilian privilege violations receive sufficient compensation for their injury; we also seek damages sufficient to “teach a lesson” to the party guilty of violating your rights. When a Bronx civil rights attorney at our Law Offices of Thomas J. Lavin represents you and your case, we’ll keep you fully updated each step of your case. 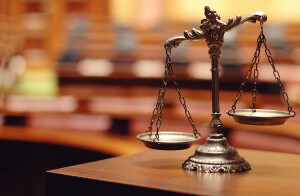 We help you understand how civil rights laws impact your situation. We will also help you to go forward with any legal actions that would be in your best interest. We are committed to defending aggressively both your rights and your dignity. You don’t have to be worried about having money upfront. We won’t charge you until you receive the compensation you deserve. If you happen to be the victim of employment discrimination, a hate crime, or any other civil rights violation in the Brooklyn, Bronx, or anywhere in the state of New York, contact a knowledgeable Bronx civil rights lawyer with the Law Offices of Thomas J. Lavin. Contact us at 718-829-7400 or call toll free at 800-394-4216. You may also fill out the form on our Contact Page and take your first step towards justice.